The team at Betting Planet reviews Royal Vegas, one of the longest running and most reputable online casinos in the business, to see if the venue continues to live up to its reputation as one of the best online casinos on the market. We look at the bonuses on offer, the casino software, the game selection, the deposit options and more to give our readers a detailed overview of what Royal Vegas Casino has to offer. 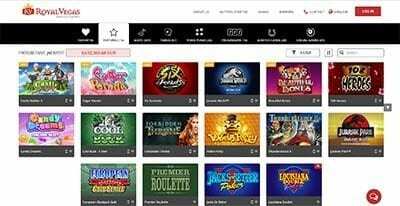 Royal Vegas Casino is a Microgaming powered casino site, and is one of the remaining few online casinos that continues to offer the option of playing via downloadable software or for instant-play directly over your Web browser. Both play formats are almost identical, although the downloadable casino client offers a couple of extra games you won’t find at the browser-based site, as well as live in-play messages about special offers and promos. An instant-play mobile version of the casino is also available, as is a downloadable native casino app compatible with iOS and Android. All formats are free to use. The sign-up bonus will be credited to your account immediately following your deposit, and is subject to a 40X wagering requirement before any money from winnings can be withdrawn. You need to register an account at Royal Vegas Casino, and there is plenty to take advantage of beyond the welcome bonus. To see what current bonuses and promos are on offer, sign into your account and see the latest promos advertised in banners across the screen (you will also receive notifications of current promotions via your inbox if you agreed to receive promotional material from RVC). Royal Vegas Casino offers some of the biggest prizes, bonuses and competitions around. While there are plenty of standard free spin offers and matched deposit bonuses, you will also find huge promos that include major prizes of all-expenses paid holidays, cars and more – just another reason why Royal Vegas remains amongst the most popular online casinos. While this sounds like a sweet deal on the surface, be aware you will need to earn 1,000 reward points before you can redeem points for one cash credit, and points can only be redeemed in increments of 5,000, so the loyalty program will only benefit high rollers or very frequent players, as all unused reward points also expire after 60 days. A VIP program is also available for the most loyal of players, providing access to all kinds of special treatment including extra bonuses, invitations to exclusive events, higher withdrawal limits, faster payment processing and your very own dedicated casino host. Like many of the most respected casinos on the Web, Royal Vegas Casino is powered almost exclusively using Microgaming software, with the recent addition of some live dealer games from Evolution Gaming. Microgaming is one of the industry leaders in online casino games, paving the way for many rivals, and despite the strong competition on the online gaming market today, Microgaming software remains up there with the best of them. You will find many of the world’s most famous and popular online casino games at Royal Vegas Casino. 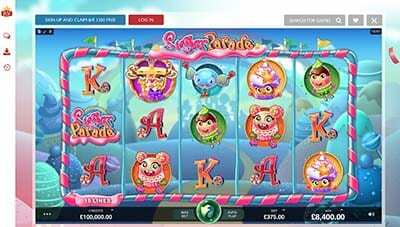 New games are added to Royal Vegas’s repertoire as they are released by Microgaming. Signing up for an account will put you in the loop of all the latest game releases and promos. One of the major drawcards to the casino is the collection of Microgaming’s large network progressive jackpot slot games, including the Mega Moolah series which has created many instant millionaires over the years. Royal Vegas Casino is operated by the Fortune Lounge Group, one of the longest running and most esteemed names in the online casino industry. While the Fortune Lounge Group affiliation is testament enough to Royal Vegas’s reputation, the casino also hits the mark for all facets of licensing and regulation. Royal Vegas is licensed by the Malta Gaming Authority (MGA), one of the leading jurisdictions for online gambling, and certified with the eCOGRA Safe & Fair seal of approval. Deposits can be made using Euro (EUR), Pound (GBP), US Dollar (USD), Australian Dollar (AUD), Canadian Dollar (CAD), Swedish Kroner (SEK), Norwegian Kroner (NOK), Danish Kroner (DKK), New Zealand Dollar (NZD), Swiss Franc (CHF), Argentine Peso (ARS), Brazilian Real (BRL) and Russian Rouble (RUB). When querying deposit limits with Royal Vegas’s live chat team, our editors were told there are no maximum deposit limits imposed by the casino, meaning RVC is an excellent choice for high rollers and hi-stake players. Whether you have a general question or require assistance, Royal Vegas is covered by a comprehensive customer support network, offering contact via email, Skype, iMessage, WhatsApp, live chat and language-specific telephone helplines. In our experience, live chat is usually manned and you will typically have a response within a few minutes, although the customer service reps aren’t always the most knowledgeable and you may experience long wait times as they seek answers to your questions. New players can sign up at Royal Vegas Casino here to claim up to $1200 in matched deposit bonuses when playing with real cash for the first time.